This week has been quite an eventful one at the Hopster HQ with the launch of our first ever TV App. Yes, we’re now available on Freetime by Freesat! AND AND, with other deals in the pipeline, we’re endeavouring to bring Hopster to more than 1 Million Households. But in this blog post, I don’t want to inundate you with any more ‘news’. I just want to share a quick tip to improve the experience for the cool cats that use Hopster. This morning, just like most mornings, I woke up to find a zillion notifications on my phone. I usually do not dare to check them before I am ready to leave the comforts of my house. But this morning was different. With my landlord’s dog by my bed side, I had enough courage to take on The Hulk (that might be a bit of an overstatement, but you know the feeling). The first thing I checked were my work emails. I was pleasantly surprised to find that we had one more FIVE STAR review on the Appstore. Obviously, it feels great to be a part of something that is appreciated. Dave, we’re so glad that your son loves Hopster. Make sure your Apple TV is connected to your television and that it is turned on. Voilà! That’s it!! 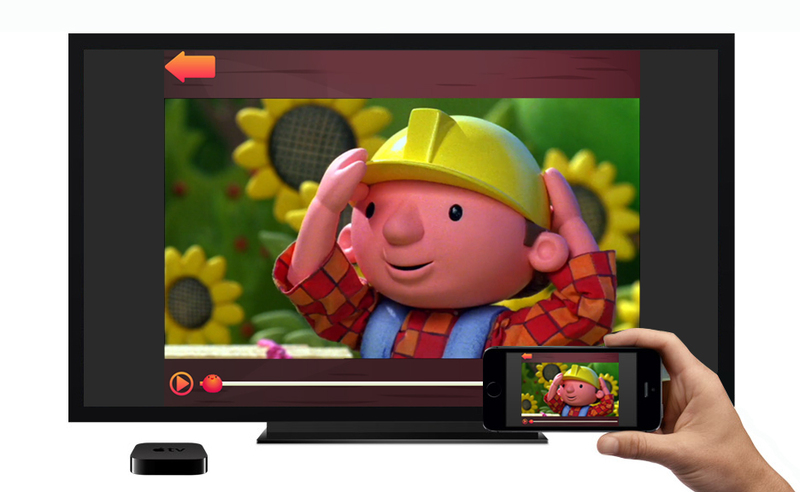 You can now enjoy all the amazing shows on your TV, thanks to AirPlay! That’s it from the Product Team at Hopster for today! I guess I can now peacefully go back home, take my dog out for a walk, call it a day and snug in. AirPlay requires an iOS device running iOS 4.3 or later, a Mac device running iTunes 10.2 or later, or an Apple TV second-generation or later. Some features require the latest software.